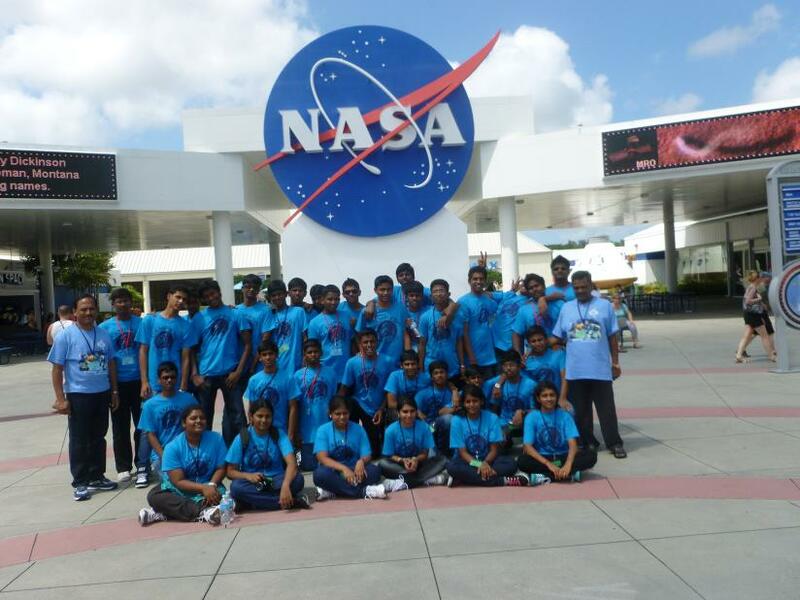 A group of 59 members led by our correspondent Mr.Vetri Chelvan and the students of the both gender has visited NASA (National Aeronautics and Space Administration) The Kennedy Space Centre Florida, U.S.A. 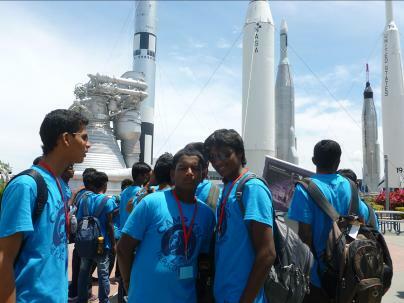 They stayed at Kennedy Space center for 5 days and learnt about the Rocket Technology, Satellite, Space Shuttle and its launching techniques, and about the international space station. The team had a long discussion with the famous Astronaut Mr. James Reilly. The team got a very good training experience. 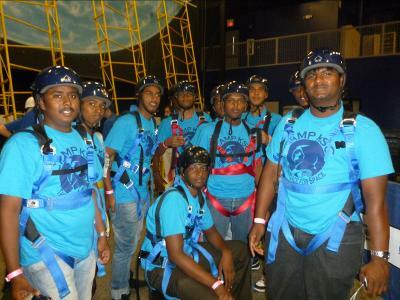 Our students received the training certificates issued by the NASA. After Visiting Orlando, Miami and Newyork City the team returned to India triumphantly and they were welcomed by the President, Correspondent, Directors, Teachers and the students of Vidyaa Vikas Educational Institutions.